For generations people have flocked to this rare oasis of wellbeing in Southern California. They come for the healing mineral water springs, the spa, the lush landscape and the fresh, local cuisine . 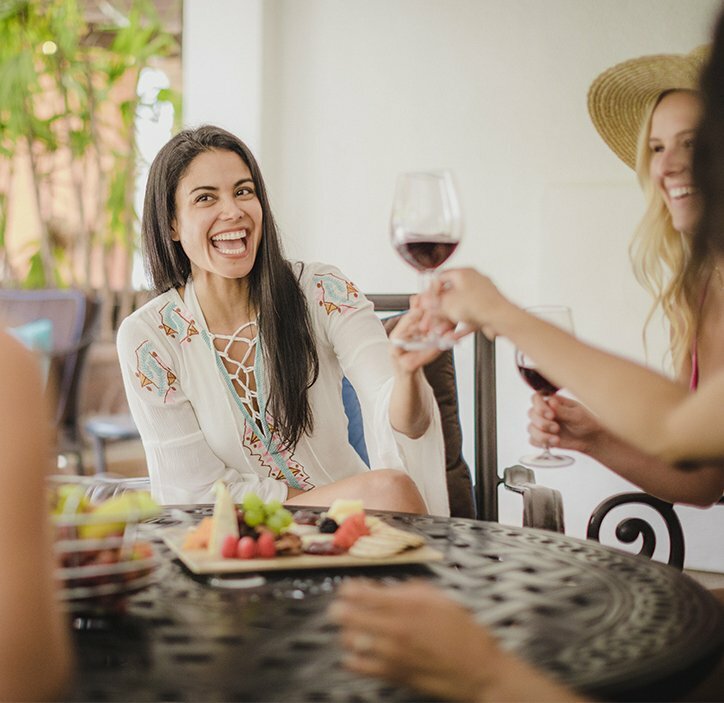 . . It’s a special place that invites family and friends to spend the day together around the pools, enjoying the food, drink and activities that make Glen Ivy a destination that is simply . . . unique. 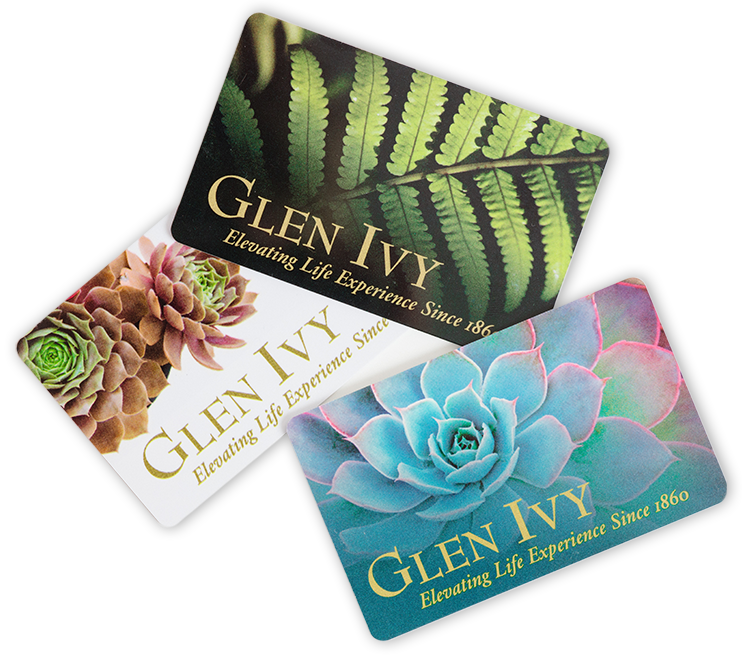 Glen Ivy gift cards make the perfect gift. With a Glen Ivy gift card, you’re giving the gift of wellness and escape, relaxation and renewal. It’s the gift of time well spent. And, with Mother’s Day just around the corner, it’s a wonderful way to show your love. A full day of wellness is waiting for you. Experience the perfect day at Glen Ivy. The ultimate upgrade to the Total Wellness Package. Channel a blissful state of consciousness. Join us in Summer 2019! Dance the night away to DJs, live music and entertainment, relax poolside with a cocktail or enjoy a farm-to-table dinner from Ivy Kitchen. Nourish your well being with a restorative spa treatment, catch up with friends, or escape to the secluded new Secret Garden. Whatever you choose, you’re sure to make memories all summer long. Thursday – Sunday from 4pm to 9pm starting in May 2019! Let us look after you. Take some peaceful time out with our dedicated therapists. Choose face and body treatments that help you reconnect and relax. 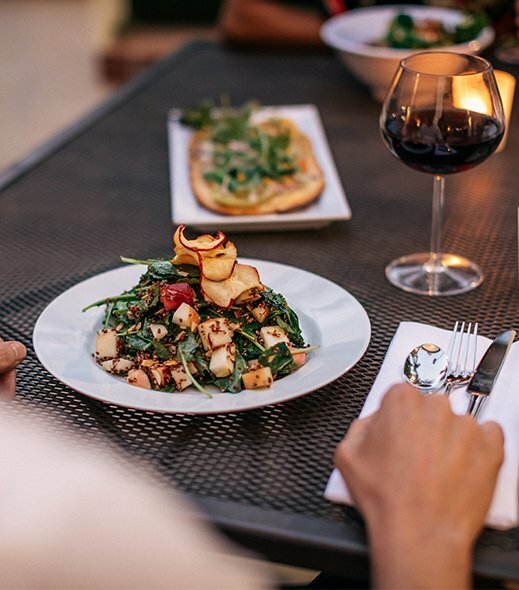 There’s so much choice when it comes to eating and drinking at Glen Ivy. Our four venues: Ivy Kitchen, GOCO Café, The Lounge 1860 and Chill Zone, each have their own vibe but everything we serve comes with a fresh, clean farm-to-table taste. We want you to have fun at Glen Ivy so we’ve created an ever-changing calendar of events and activities to keep you entertained and in shape! Do you have something to celebrate? Do you want something extra-special from your day at Glen Ivy? Check out our cabanas and the rewards that come with them. Our resort map will help you get familiar with what’s on offer at Glen Ivy. After all we’ve got 19 pools, even more lounge areas, four food and drink venues, saunas, steam rooms, an activity deck, two treatment zones plus our unique Club Mud and Grotto experiences.